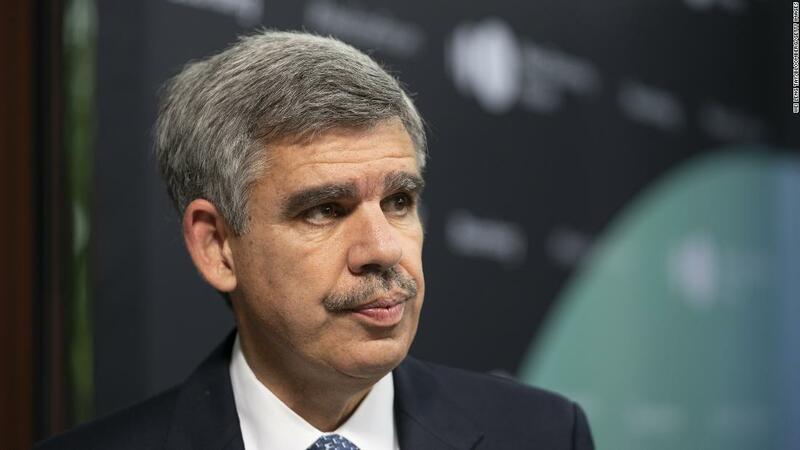 New York (CNN Business) Economist Mohamed El-Erian says get ready for the market volatility to continue. It would take a “major policy mistake” or a “massive market accident” to trigger a downturn, he said. He expects growth next year to be between 2.5% to 3% and wages to rise by 3% or more. But he is warning investors to brace for more market volatility. Markets do not like the growing uncertainty in the global economy, particularly Europe and China. Lastly, El-Erian said Wall Street has changed its attitude. “It’s no longer about buying every dip. It’s about selling every rally,” he said. And the market swings can be “amplified by computer trading,” which can trigger more exaggerated selloffs and rallies. President Donald Trump has blasted Fed chair Jerome Powell over the central bank’s rate hikes and blamed them for the market woes. Trump’s remarks drew criticism from experts who saw it as an encroachment on the Fed’s independence. El-Erian said Trump “has a point” in saying the Fed “needs to get a feel for what’s going on beyond the strict, narrow domestic economy” when it comes to making rate hike decisions. But, he added, the president should be cautious. “Central bank independence is very important for economic stability, and economic stability is key to economic growth,” he said.